If life hands you lemons, make lemonade. If life hands you a river chock full of invasive Asian carp, make carp harvesting a local industry. We celebrate the bass — Bass Pro, etc. We celebrate the catfish — farmed in Mississippi and fried in Memphis. 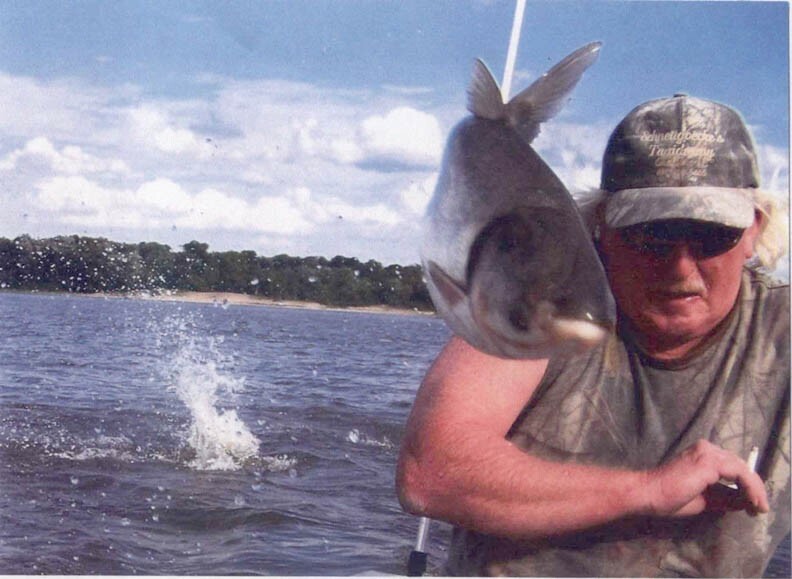 Why not the silver carp that will leap into your boat or your face if you motor through the shallow backwaters of the Mississippi River near downtown in a john boat. A story by David Lepeska in the New York Times today describes the commercial carp fishing in the Illinois River by Schafer Fisheries. "In the last year, Illinois has handed out nearly $6 million to increase the catch of Asian carp in the Illinois River, including a $2 million grant to the Big River Fish Corporation, of downstate Pearl, to expand operations and ship up to 50 million pounds a year to China," the story says. Opportunity knocks, Memphis. We have the greatest river in the United States. My fisherman son and I can personally attest that it holds plenty of carp. We have 11 percent unemployment. We have shipping know-how. We have ports, roads, railroads, and an airport. We have sport fishermen who go after bass and catfish. We will sooner or later have a Bass Pro superstore in The Pyramid. We have members of Congress who know how to fish for and land federal grants. What's more, the Asian bighead and silver carp were first introduced in southern ponds in the 1970s and swam up the Mississippi River to get to Illinois and possibly into the Great Lakes if something isn't done about them. So in a way, they're our problem. Or not. Time to go fishing. The Chinese are ready, waiting and apparently hungry.